Sophisticated style and breathtaking beauty is the essence of La Clé des Montagnes. A selection of four unique villas await you on a working wine estate, surrounded by picturesque vineyards and plum orchards, with a magnificent mountain backdrop. 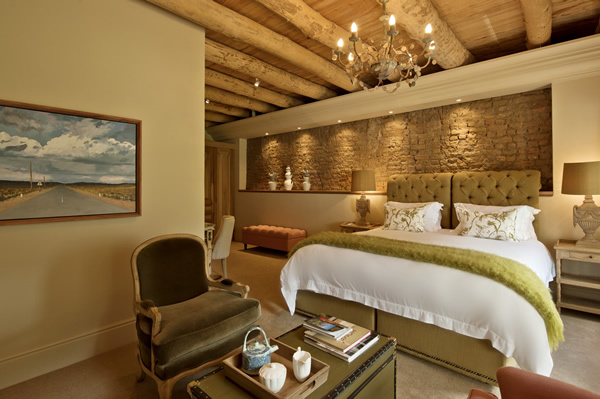 Enjoy an unparalleled luxurious accommodation experience in the heart of the beautiful Franschhoek valley. A masterpiece of plush opulence, created by the impossibly talented Cape Town interior designer, Sarah Ord, in the heart of Franschhoek, each of La Clé’s “4” custom-designed homes offers something long-thought beyond reach in the most upmarket village in all South Africa. This is a five star home from home that not only turns relaxation into a fine art but raises the bar for the long-established competition. The villas have been uniquely themed and are designed to suit your preferences. If you wish to stay on site and enjoy the unequivocal ambiance, each villa has a private swimming pool and is fitted with beautiful chandeliers and large fireplaces. Each villa not only provides complete privacy and security, it lends itself to entertaining, with spacious living rooms with fireplaces and a library, indoor and outdoor areas, a private swimming pool and garden, as well as a fully equipped kitchen. Villas come complete with all home comforts to suit extended stays, and are able to accommodate families with children of all ages. At La Clé des Montagnes, a personal butler service is always on hand, and if you require, your own gourmet chef. Enjoy a private tour of one of Franschhoek’s award winning wine estates, create your own unique blend of wine, or have a helicopter collect you when you arrive at Cape Town International Airport. 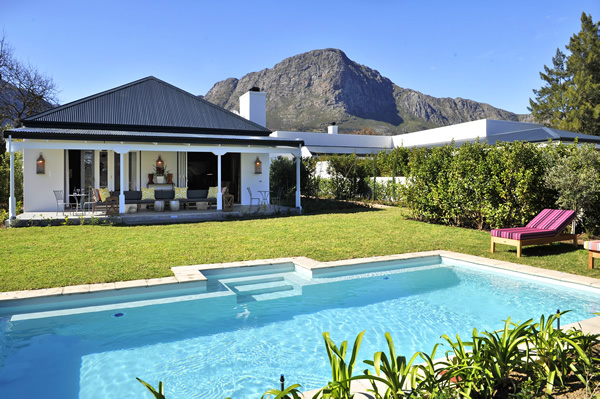 If you wish to take a stroll and soak up the lifestyle and pavement café mood of Franschhoek, the villas are only a short walk from the art galleries, fine restaurants and boutiques of the village centre. 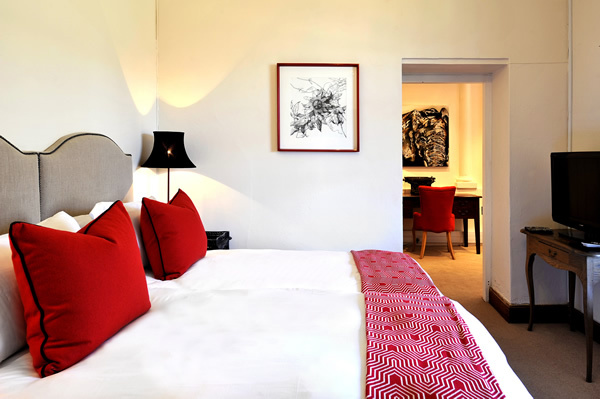 With your holiday, safari or business trip from in to La Clé des Montagnes in Cape Winelands.